When you need to make sure your team knows what's ahead, notify them when you create an event. 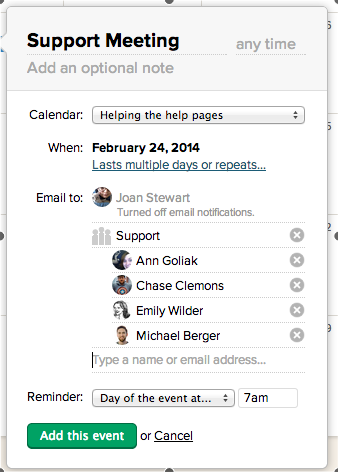 You can generate email notifications for any event on the calendar! When you create an event, you can add one or more people to receive an email with the event's details. Type their names email addresses, or the company/group names into the fields under "Email to." The added users will receive an email as soon as the event is created. If you add a new person to an existing event, they'll get an email about the event right away. 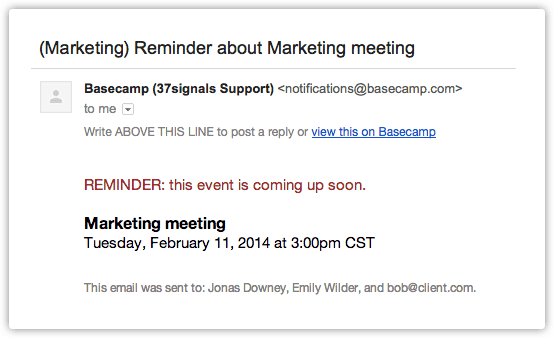 Before the event happens, Basecamp can send an email reminder to all of the event's recipients. 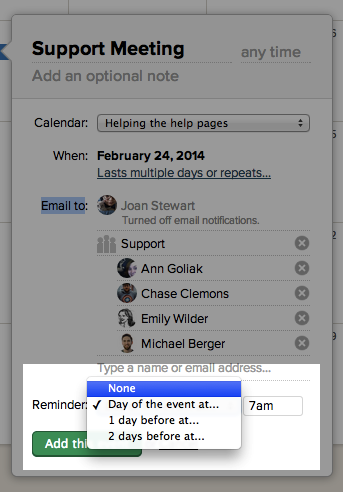 Use the Reminder menu to select whether the reminder should be sent on the day of the event, the day before, or two days before. You can also specify what time of day the reminder should be sent. The reminders will go out to all of the event's participants. We want to make sure you never miss that important meeting! 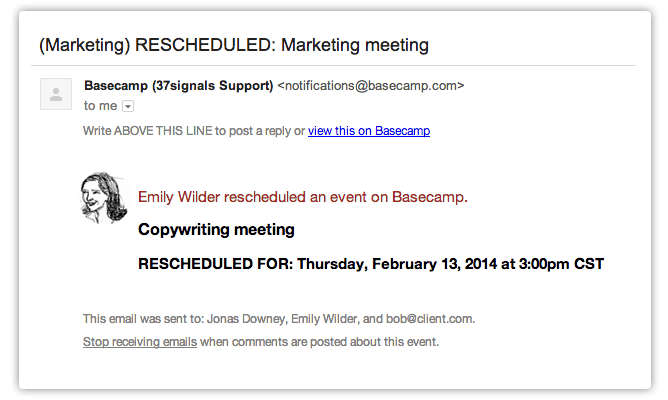 When the date of an event changes, Basecamp will automatically send an email to all of the event's recipients. There's a delay of 5 minutes, so people won't get too many emails if you pick the wrong date or change your mind again. On events lasting more than one day, you'll only receive a notification on the morning of the first day of the event.